Article of the Week: The Sasha Obama Effect - CounterCultural. CounterCouture. 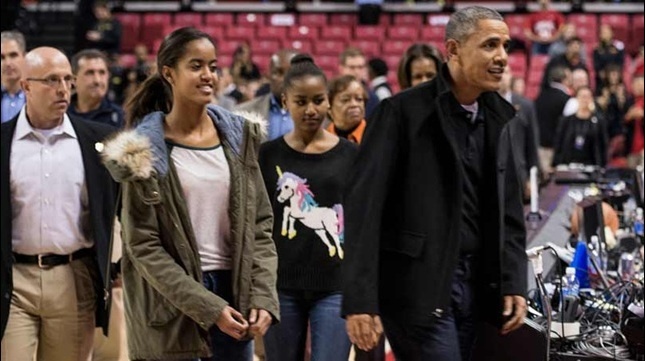 Sasha Obama in the Asos Unicorn jumper that sold out after she was seen it. According to Look, the twelve year old daughter of President Barack Obama is the “surprise 2014 style icon”. The ‘Sasha Effect’ was first noticed after she was seen wearing a unicorn jumper from Asos sold out, only to be restocked due to global demand. After this, the sellouts due to Sasha’s high street fashion has continued with Urban Outfitters getting in on the action as well as Asos. I have to admit that Look and the other commentators are right about her having serious style. The Huffington Post even said she had “serious shoe game” due to her Dr. Martens. But I think that the fashion media have forgotten one thing in their adoration of Sasha Obama… She’s 12 years old!!! Yeah, she has some serious style for which she deserves the comments but those calling her a style icon are at least double her age! Is it me, or does it seem slightly weird that people in their 20s and 30s onwards are looking at a girl who would be year 7/8 in the UK for style tips? Personally, I’ll be sticking to style icons who at least appear to be adults rather than girls almost half my age.